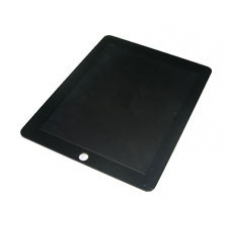 This is a complete iPad screen assembly comprising of the touch screen / digitiser, LCD Display, Frame Assembly and Mounting Clips. If you have an iPad with WiFi or 3G + WiFi with a broken screen this is needed to repair the problem. * 9.7-inch (diagonal) LED Backlit Glossy Widescreen Multi-Touch Display with IPS Technology. * Original Apple iPad Replacement Part.